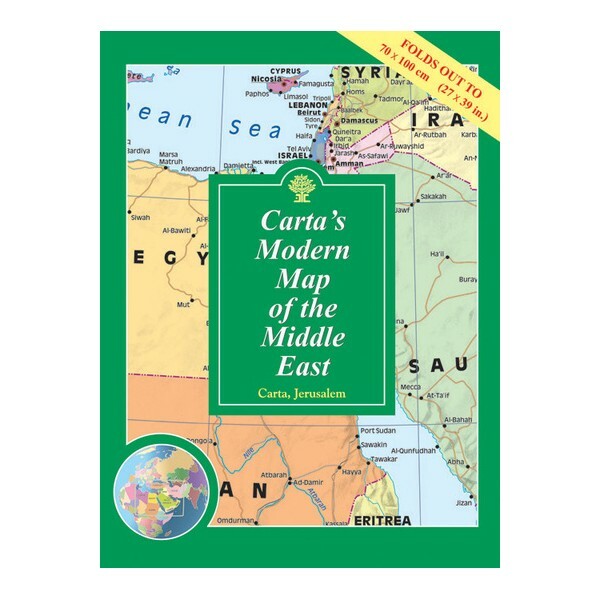 Clearly presented colorful map of the Middle East showing major roads, railways and towns. 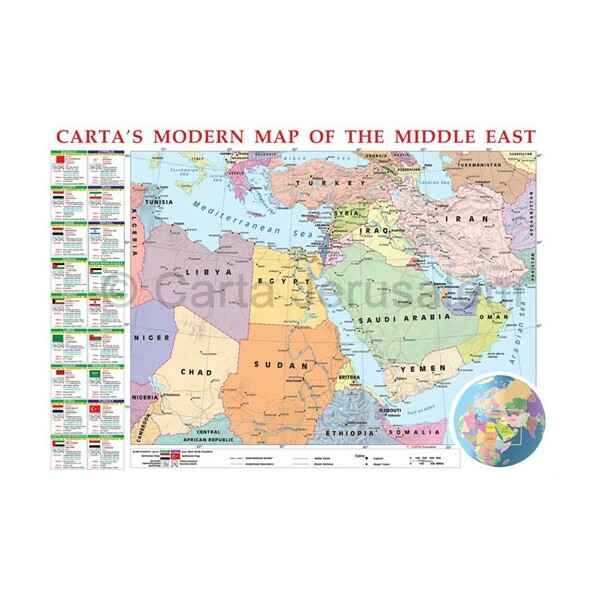 - Alongside the map are vignettes of valuable information on each country in the Middle East. 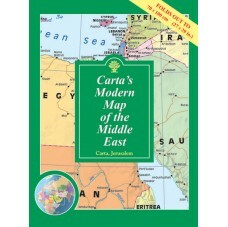 - Inset of world map showing area of the Middle East.